1997 2.2 & 3.0 Stereo Removal Tips. 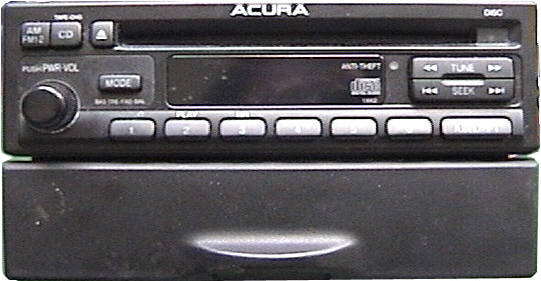 The piece of dash that goes around the stereo and around the pocket below it will snap off with the Hazard Switch and Clock attached to it. You can use a regular screwdriver, don't pry from the outside of the rim, start with the pocket's door open and slide the driver in the bottom left and right inside corners of the piece to force it off. Once it's off and out of the way, you'll need to remove the 2 screws below the pocket. We found it easiest to move the stereo and pocket up a little in order to get the Phillips screwdriver under there and take the screws out, you'll need a 6-7 inch long Phillips or 5/16" socket - those 2 are all that is holding it in. 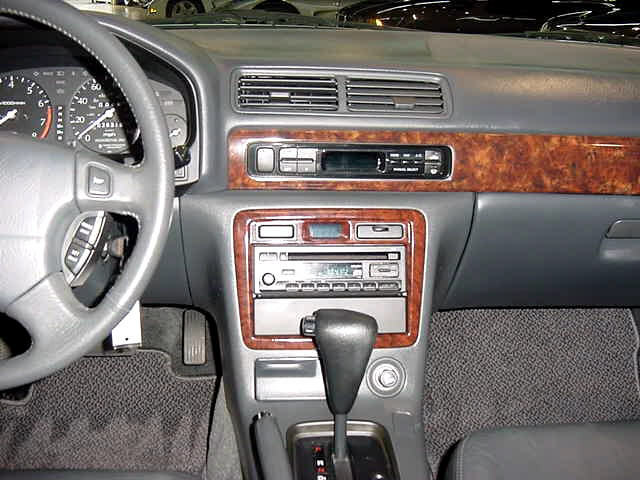 1998-1999 2.3 & 3.0 Stereo Removal Tips. Start by removing the armrest that is between the front seats. The way it comes off is by opening the armrest, empty it out, and use a screwdriver to pop up the hidden door at the bottom. Then remove the 2 screws and there is another screw under the drink holder. Pull up and remove the drink holder to see it. Then, with the emergency brake handle pulled up, you can lift off the armrest and cup holder area of the console. Now you can get to the 2 screws that are near the shifter and hold down the plastic that goes around the shifter and up around the radio. Be sure to remove the ashtray and remove that last hidden screw in there before moving that piece from around the stereo (the rest unsnaps). There is a connector to the wiring that goes to the lighter, unplug it to move that over and out of your way to get to the 2 screws under the pocket holding the stereo in. Start by emptying the console between the seats, In the bottom level there is a piece of pad on the bottom, under it is two screws (remove). Pry off the plastic ring around the shifter, it just pulls up, notice the shift lock, you may need to keep the parking brake on and use the shift lock (just press down even with a screwdriver) to move the shifter back and out of the way. The plastic wood grain trim strips along each side come off, start by the end that is under the door of the center compartment, between the seats, pull up (unsnaps). Move the side big panels which have 2 screws on each side and the front by the steering wheel has a screw. In order to see this front screw, you'll need to unsnap the cover that goes under the steering wheel from it's right side, this will reveal the screw. You can see 2 round silver phillips screws on each side of the radio's side, and 4 black phillips screws around front edge (remove). 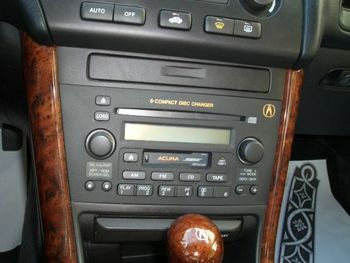 Now, you need to move the plastic that is in front of the shifter and holds the seat warmer switched. Start by pulling out the door right in the middle, under there, that hides/covers the computer connector, it is between the seat switches and back in there, just use fingers and it pulls out. There are 2 large phillips screws to the left and right of the computer connector that hold the plastic in place (remove). The seat switches will need to push out of there mounts and be unplugged. You can get to the connectors from the sides, this is a little tough but once unplugged the switches can come up out of the plastic, you may need to press the clips on the side towards you to help them release. The plastic holding the switches comes out but it may need to stay in place until the switches are out because of the clearance the switches need to move up and out. Wiggle the radio out enough to unplug it from the right side. There are two connectors that have slim releases on the top of them and the antenna just pulls out. Reach in behind radio on the right side to unplug. Start by emptying the console between the seats, In the bottom level there is a piece of pad on the bottom, under it is two screws (remove). Pry off the plastic ring around the shifter, it just pulls up, notice the shift lock, you may need to keep the parking brake on and use the shift lock (just press down even with a screwdriver) to move the shifter back and out of the way. 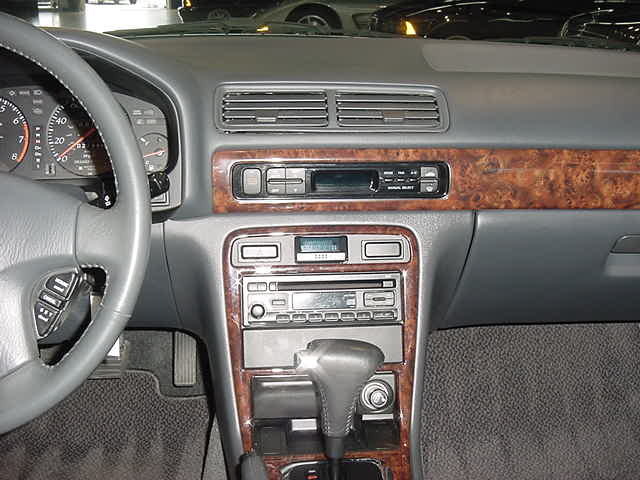 The plastic wood grain trim strips along each side come off, start by the end that is under the door of the center compartment, between the seats, pull up (unsnaps). Move the side big panels which have 2 screws on each side and the front by the steering wheel has a screw. In order to see this front screw, you'll need to unsnap the cover that goes under the steering wheel from it's right side, this will reveal the screw. The panel by the standard shifter needs to be be remove, there are screws holding it and it unsnaps. You can see 2 round silver phillips screws on each side of the radio's side, and 4 black phillips screws around front edge (remove). 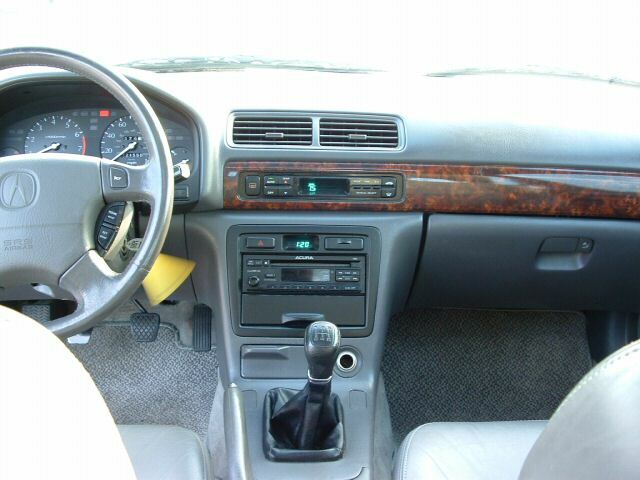 Now, you need to move the plastic that is in front of the shifter and holds the seat warmer switched. Start by pulling out the door right in the middle, under there, that hides/covers the computer connector, it is between the seat switches and back in there, just use fingers and it pulls out. There are 2 large phillips screws to the left and right of the computer connector that hold the plastic in place (remove). The seat switches will need to push out of there mounts and be unplugged. You can get to the connectors from the sides, this is a little tough but once unplugged the switches can come up out of the plastic, you may need to press the clips on the side towards you to help them release. The plastic holding the switches comes out but it may need to stay in place until the switches are out because of the clearance the switches need to move up and out. Wiggle the radio out enough to unplug it from the right side. There are two connectors that have slim releases on the top of them and the antenna just pulls out. Reach in behind radio on the right side to unplug. Below are problems we have repaired. Error code "PEO" on display and won't play CD's at times. Won't eject, accept, or read (skips) CD's.